Posted on 15, April 2016 by EuropaWire PR Editors | This entry was posted in European Union, Financial, Investment, Ireland, Law and tagged Conor Ryan, ISE, seminar on changes to the EU market abuse regime, The Irish Stock Exchange. Bookmark the permalink. 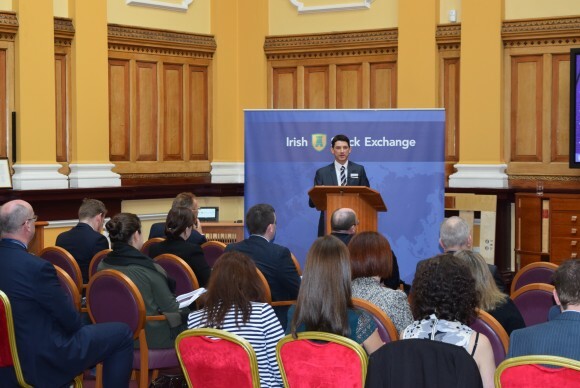 DUBLIN, 15-Apr-2016 — /EuropaWire/ — The Irish Stock Exchange (ISE) today hosted a seminar updating companies quoted on the Enterprise Securities Market (ESM), on changes to the EU market abuse regime which come into effect on 3 July 2016. Attendees at the event included company secretaries of the ESM companies.